Make sure you have a high-quality team with years of experience working on your vehicle. At King's Transmission Auto Service Center, we take care of our customers. A lot of our business comes from word of mouth, so you know people love to recommend us. We have been in business since 1986 helping you with your brakes and other auto service needs with our ASE-certified technicians. 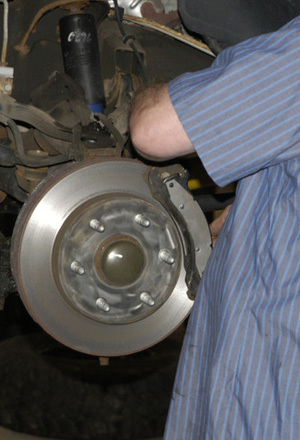 We take pride in our work, so contact us today to inspect and repair your brakes. Your transmissions general repair is warrantied for 12 months or 12,000 miles. If you are a AAA member you receive 24 months and 24,000 miles!